Perfect either on the beach layered over a bikini and kaftan with the sand between your toes or equally as stylish teamed with a touch of cotton and cashmere. 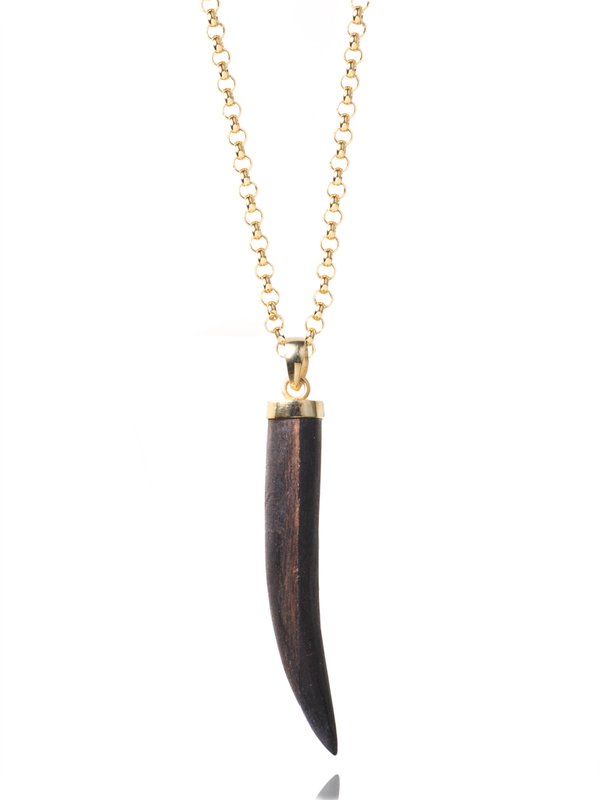 This 5cm horn, carved from wood and tipped with gold plate, hangs elegantly on an 80cm belcher chain measuring 0.2cm in width. The chain is made of sterling silver and has been treated with a 23.5 karat gold coating which is really robust.